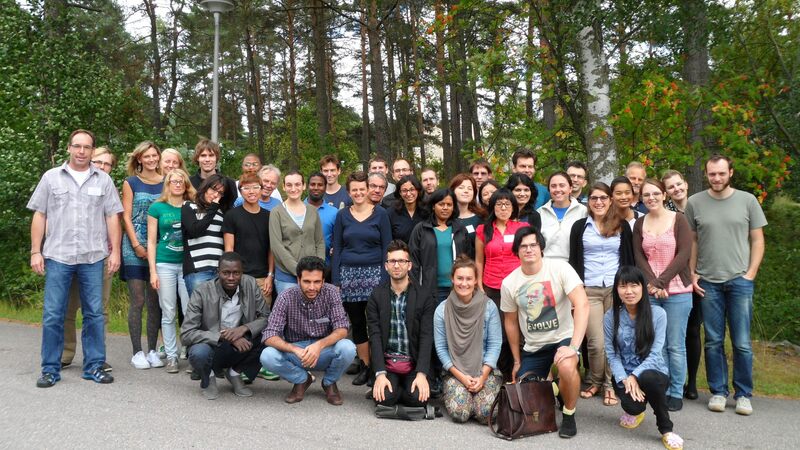 The school will be held between 17 and 24 August 2014 at the Linnasmäki Congress Centre in Turku, Finland. Arrival and departure on Sundays, full program on Monday-Saturday. We provide full board and lodging in double rooms during the school (17 August dinner - 24 August breakfast) plus a Reader to all accepted participants free of charge, on condition of participation in the full program. Participants need to cover their own travel costs. The School is financially supported by the Finnish Doctoral Programme FICS and by the Academy of Finland via the Finnish Centre of Excellence in Analysis and Dynamics Research. The School is organised under the auspices of the Finnish Centre of Excellence in Analysis and Dynamics Research by members of the Biomathematics Group of the University of Helsinki (email addresses: firstname.lastname [funny character] helsinki.fi). All PhD students and young researchers working in mathematical epidemiology, ecology or evolution can apply from all countries, especially from Europe and the Mediterranean. The school is aimed at PhD students of mathematics with interest in ecology, evolution, and epidemiology. We also welcome students of biology with sufficient background in mathematics, advanced undergraduates, and postdocs. The school can accept maximum 40 students. The deadline for applications is 15 April 2014 and we shall notify all applicants by 30 April. There is no fee for registration.